Alex Gallimore more popularly known as Alexx A-Game grew up in Wood’s Town, Discovery Bay in St. Ann, Jamaica, receiving his name through the constant use of the slang A-Game in late 2013. With his Lyrical Prowess, cathcy hooks and witty freestyles displayed on the recently released 10 track mixtape “RealnTrue Vol.1”. Alexx A-Game is making a significant mark on Jamaican Music while opening up a door to international urban Music. Most notably Alexx A-Game has been recognized for his new refreshinng approach to both genres, musically as well as visually. Along- side jamaican legends such as Damian Marley and Shabba Ranks, many of his inspirations comes from US and UK Hip-Hop culture, which naturally manifests itself in his music. There is a bouncy bass-infused edge to his beats and a rap sensibility about his lyrics and delivery. 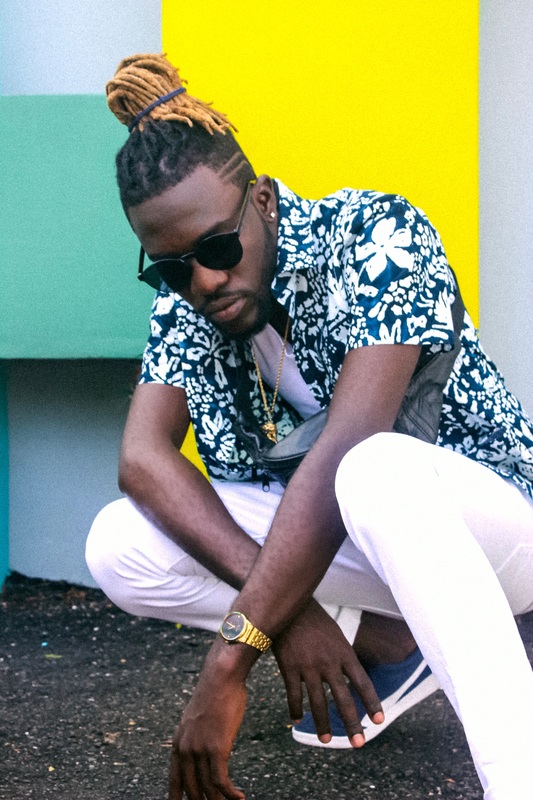 It’s this fresh and unexplored approach within Alexx A-Game’s appeal that makes him such an exciting new prospect for not only the Jamaican Music Industry but the global urban scene as a whole. 1. What inspired you to start doing music? My father introduced me to music very early and always exposed me to sounds and instruments so fell I’ve been in love with music since then. 2.Who are some of your greatest influences? And why? My father is my biggest influence musically cuz as I said he introduced me to music and he always made sure it was apart of my days by encouraging me to practice and even doing random freestyles and making up sounds and songs off ever scenario. That developed my ear for music and also my ability to write and Freestyle a lot. He taught me a lot more things that I can now apply to my craft. I was definately influences by old records because I used to listen to mostly older artistes growing up. I can’t pin point one particular record but I was a big fan of Sanchez. His vocals still stand out to me as a goal. 4. Have you been in any competitions? Tell us about it and if you won any prizes? I’ve never been in a competition as a solo artiste but I was the lead singer and bass player in a band “Di Blueprint” and we won the Global Battle Of The Bands in London 2012. 5. In a few words explain the kind of music you do and what you want people to take away from listening to it? I would say my music is a mixture of all the popular genres right now. It’s hard to define my sound. Maybe, just maybe I’m creating a new genre but we’ll see in a few years to come. My lyrical content is real and motivational. I cover every aspect or real life in a positive way and anyone that pays attention to my lyrical content is guaranteed to grow as a person if they apply the information. 6. How long have you been doing music? I’ve been doin music all my life. However, My journey as a recording artiste started 2014. The music industry has evolved in a major way since I entered, especially with social media being so dominant, streaming services being so accessible not only to consumers but also to creators making distribution much easier and allowing more independent artiste to monetize, gain huge fanbase, tour etc. Whereas in the past artiste would have to depend on a major label for all the above. That’s a major change. 8. Tell us about your music genre and why did you choose this category? Dancehall is my genre right now. I wouldn’t say I chose it but I’m a product of my environment and my own culture so I’m automatically placed in a sense. Three of my latest releases that I would love to highlight are “I Know” produced by Irie Vibration Records, “Go Harda” produced by Upsetta Records and “Double” featuring Tory Lanez produced by Vern Hill under my label, REALnTRUE Records. All those songs are doing well in Jamaica, parts of Europe, making their way into the North American market now and affording me some great features by big media platforms and also catching the ears of huge DJs, labels and media. 10. What would you say makes Alexx A game stand out and what should we expect from you ? What makes me stand out is my versatility as a young artiste, lyrically, melodically and the fact that I’m a trained musician who can apply my knowledge to my craft and still make it relatable to the layman. My awareness and knowledge of different aspects of the industry and how I apply it i think is a great asset. Also being able to make mainstream/international moves as an independent young artiste from Jamaica, who still lives in Jamaica I think is ground breaking so there no telling how many barriers my team and I are gonna break down and how many bars I’m going to set in a few years from now. I’m a game changer. Screenshot that, post it in 2020 and caption it “ HE TOLD US” lol. Confident right?! Oh yeah that too. Much love and respect. REALnTRUE!